Big Balloon Show at Chicago Fringe Fest 2018 – Kids Fringe Official Selection! 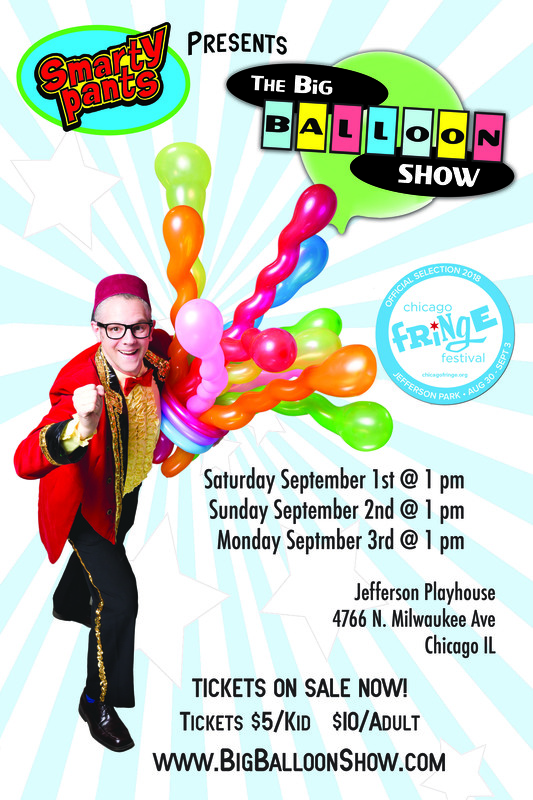 The Smarty Pants Big Balloon Show is the official selection of the Chicago Fringe Fest – Kids Fringe Festival! All shows are at the Playhouse in Jefferson Park. We sold out these shows in 2016 – don’t miss your chance to see Smarty Pants and the Big Balloon Show this weekend!